Led bird walks have been helping us to identify birds so we went on another one this morning. A Pygmy Owl had been spotted so we spent some time looking for him but were unsuccessful --- we did get to see a Screech Owl. Last year we spent a fair bit of time at a new state park called Estero Llano Grande and decided to go and see how much it had changed. They have definitely done a lot of work in a year — the park now has a large pond with a lot of water birds in it by the visitor center. You can pull up a chair and watch at least a dozen different kinds of ducks of water birds. Cormorants drying their wings, a snowy egret in front. 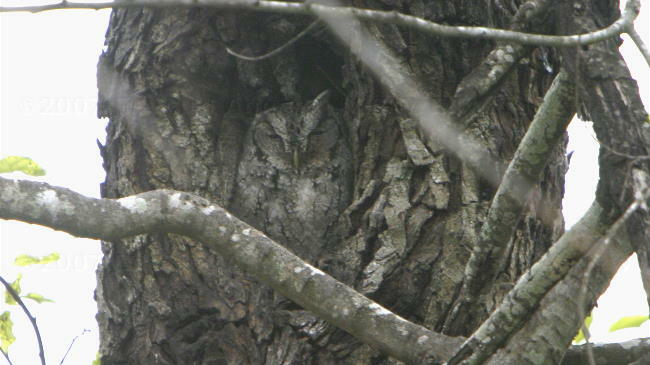 A Screech Owl hiding in the tree --- look closely as he matches the tree. 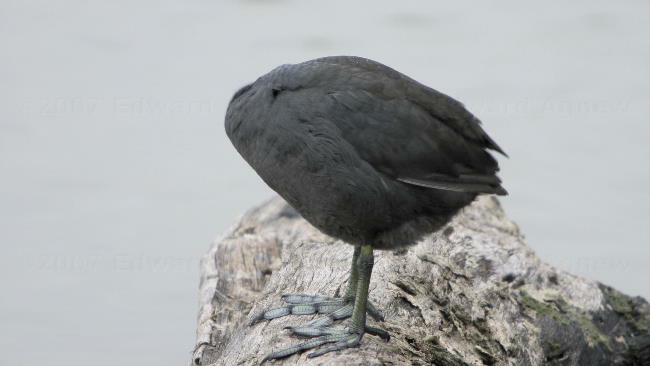 The headless bird --- he's preening his right wing I think. 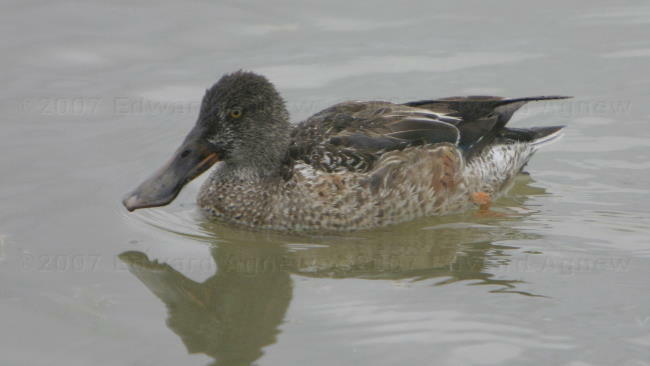 I'm pretty sure this is a female Northern Shoveler.